As you know if you’ve been following my blog and Twitter account, I’m a bit obsessed lately with the concept of Makerspaces in libraries. I’ve been brainstorming and grant writing. 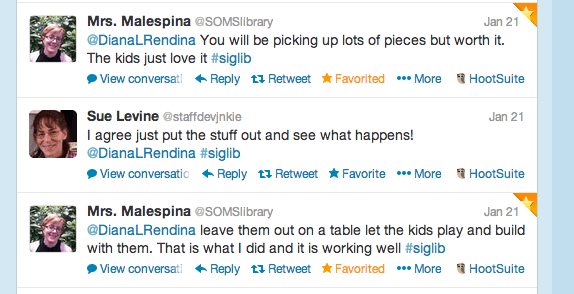 I’ve been telling everyone I know about my vision for what I want my school’s library Makerspace to become. About a month ago, I mentioned some of my ideas to the lead teacher at my school. She told me that the school had purchased $1,000 worth of K’nex several years ago for the science department, but hadn’t used them in years. She offered them up to the media center, so I happily took them out of the storage room. I cleaned off the dust, and started brainstorming how I would work them in. So last week, I did just that. During lunch I have a lot of students come in with free time. I put the boxes of K’nex out on the tables to see what would happen. It was amazing! 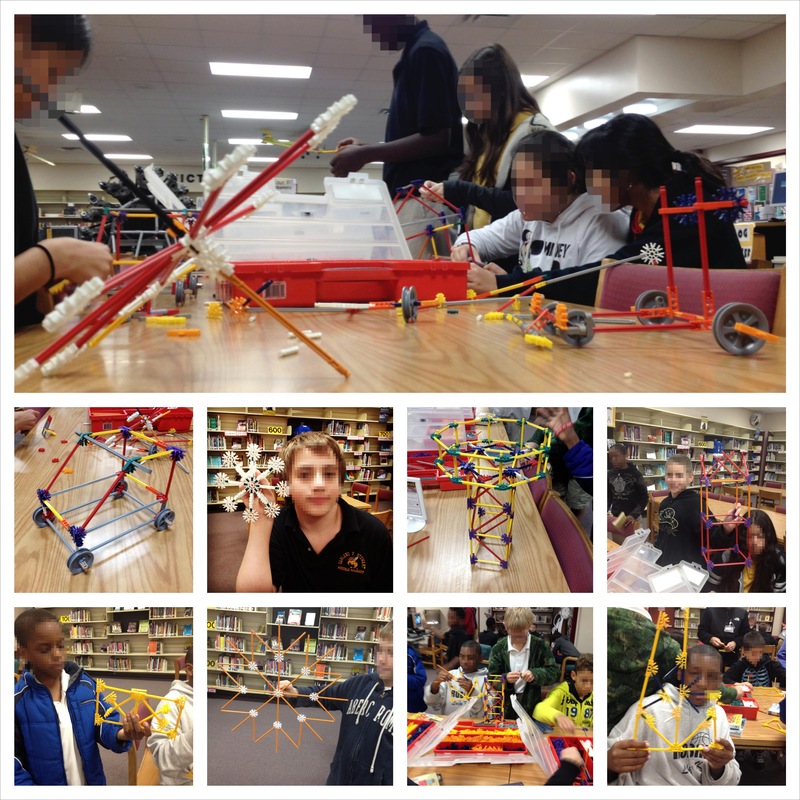 The students were so excited and they spent the whole period building awesome creations. Some of them I put on display in our glass trophy case outside the media center, the rest I posted to Instagram. Next week I’m starting a bi-weekly K’nex club with a group of sixth graders, where we’ll build things and document them with our media center iPod Touches. I’m so excited to have this aspect of our Makerspace started, and I can’t wait to see where we go with this!